“The Bali bombing plotters,” BBC News, March 10, 2010, http://news.bbc.co.uk/2/hi/asia-pacific/2385323.stm. “The Bali bombing plotters,” BBC News, March 10, 2010, http://news.bbc.co.uk/2/hi/asia-pacific/2385323.stm#Amrozi. According to neighbors, bin Nurhasyim returned to his home village of Tenggulun in Indonesia in 1991 and appeared to be more religiously observant.“Profile: Amrozi,” BBC News, November 8, 2008, http://news.bbc.co.uk/2/hi/asia-pacific/2632043.stm. “The Bali bombing plotters,” BBC News, March 10, 2010, http://news.bbc.co.uk/2/hi/asia-pacific/2385323.stm. 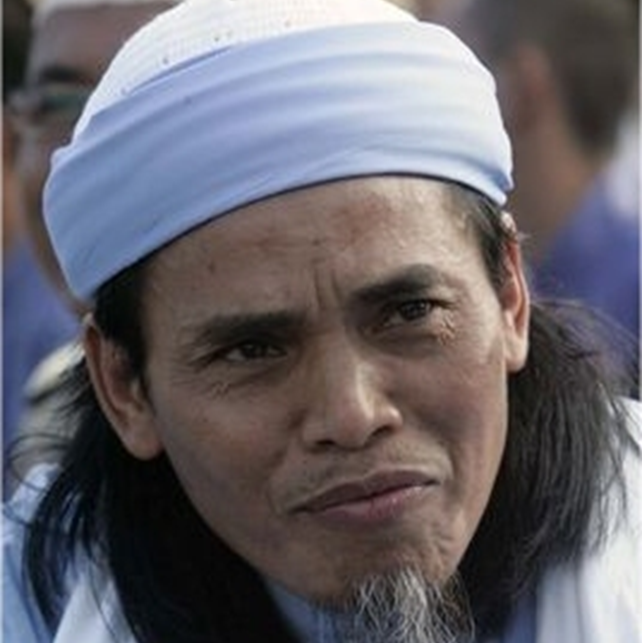 Bin Nurhasyim was reportedly known to authorities as a member of JI before the bombings.William M. Wise, “Indonesia’s War on Terror,” United States – Indonesia Society, August 2005, 8, https://www.webcitation.org/5rAFxSKAn?url=http://www.usindo.org/publications/reports/pdf/WarOnTerror.pdf. Kelly McEvers, “The Terrorist’s Wife,” Slate, November 1, 2005, http://www.slate.com/articles/news_and_politics/dispatches/features/2005/the_terrorists_wife/how_paridah_met_mukhlas.html. A third, smaller bomb was remotely detonated near the U.S. Consulate in Bali, though no one was hurt.“Timeline: Bali bomb trials,” BBC News, November 8, 2008, http://news.bbc.co.uk/2/hi/asia-pacific/3126241.stm. William M. Wise, “Indonesia’s War on Terror,” United States – Indonesia Society, August 2005, 9, https://www.webcitation.org/5rAFxSKAn?url=http://www.usindo.org/publications/reports/pdf/WarOnTerror.pdf. William M. Wise, “Indonesia’s War on Terror,” United States – Indonesia Society, August 2005, 37, https://www.webcitation.org/5rAFxSKAn?url=http://www.usindo.org/publications/reports/pdf/WarOnTerror.pdf. Prosecutors in the case said that bin Nurhasyim admitted to meeting with Jemaah Islamiyah (JI) founder and jailed radical cleric Abu Bakar Bashir. However, Bin Nurhasyim maintained that he was not a member of JI and only participated in the attack to avenge the perceived persecution of Muslims around the world.“Amrozi: Bali’s ‘smiling bomber’,” CNN, February 26, 2004, http://www.cnn.com/2003/WORLD/asiapcf/southeast/08/07/amrozi.profile/. Kelly McEvers, “The Terrorist’s Wife,” Slate, November 1, 2005, http://www.slate.com/articles/news_and_politics/dispatches/features/2005/the_terrorists_wife/how_paridah_met_mukhlas.html. The appeals stalled the executions, but were ultimately unsuccessful.“The Bali bombing plotters,” BBC News, March 10, 2010, http://news.bbc.co.uk/2/hi/asia-pacific/2385323.stm#Amrozi. On May 12, 2008, while detained at Nusakamanbangan prison, bin Nurhasyim was married for the fourth time in a “virtual ceremony” conducted in his home village of Tenggulun in east Java.Geoff Thompson, “’Virtual wedding ceremony’ for Bali bomber Amrozi,” Australian Broadcasting Corporation, May 12, 2008, http://www.abc.net.au/news/2008-05-12/virtual-wedding-ceremony-for-bali-bomber-amrozi/2433544. According to his lawyer, bin Nurhasyim was remarried to his first wife Rahma and his brother stood in his place, as officials did not grant permission for a wedding in the prison.Geoff Thompson, “’Virtual wedding ceremony’ for Bali bomber Amrozi,” Australian Broadcasting Corporation, May 12, 2008, http://www.abc.net.au/news/2008-05-12/virtual-wedding-ceremony-for-bali-bomber-amrozi/2433544. On November 8, 2008, bin Nurhasyim, bin Abdul Haq, and Samudra were executed by firing squad on the prison island of Nusakambangan.Sadie Gray, “Three Bali bombers executed by firing squad at midnight,” Independent (London), November 9, 2008, http://www.independent.co.uk/news/world/australasia/three-bali-bombers-executed-by-firing-squad-at-midnight-1003970.html. Amrozi“Amrozi: Bali’s ‘smiling bomber,’” CNN, February 26, 2004, http://www.cnn.com/2003/WORLD/asiapcf/southeast/08/07/amrozi.profile/. Amrozi NurhasyimTatan Syuflana, “3 Executed for Bali Attacks That Killed 202,” Washington Post, November 9, 2008, http://www.washingtonpost.com/wp-dyn/content/article/2008/11/08/AR2008110802361.html. The Smiling Bomber“Amrozi: Bali’s ‘smiling bomber,’” CNN, February 26, 2004, http://www.cnn.com/2003/WORLD/asiapcf/southeast/08/07/amrozi.profile/. “Continue the holy struggle, get rid of Zionists, get rid of the Christian filth. God is great, this is my song.”“Profile: Amrozi,” BBC News, November 8, 2008, http://news.bbc.co.uk/2/hi/asia-pacific/2632043.stm.